We have marked a remarkable position in the market by offering the best quality array of Split Face Block. Matching with the requirements of the clients, we are into offering a quality approved array of Stone Block. 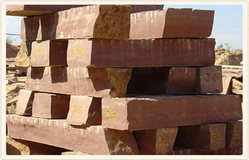 The Stone Block we offer is widely demanded for their wide use. Moreover, one can get these products in committed time bound. These stones are used for constructing buildings instead of bricks and other stones. When these stones are used, plastering and painting can be avoided and the stones very strong. It can save the cost of painting and plastering and gives building an elegant look. The room temperature will be very low inside the building that AC can be used seldom. Stone slab blocks were called stair blocks before the current stairs were added; after this, they were known as steps before all items got official names. Sandstone, wooden, and cobblestone double-slabs look exactly the same as their full block counter-parts, but take a longer time to break and drop two slabs. It is a camel dust sand stone block. These are masses of stones, which are extracted from stone quarries. They usually have volume between 8-20 cubic feet. They are molded and carved to build statues and monuments, which are incomparable in their beauty and finishing. Blocks also produce stone slabs and tiles. 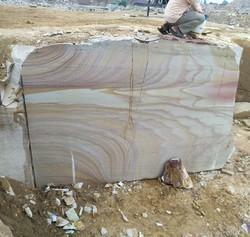 We provide comprehensive array of Block Stones that includes various sizes and finishing. Fabricated by highly proficient craftsmen, our Block Stones are nicely polished and finished. We are recognized as one of eminent Block Stones Manufacturers, Exporters, and Suppliers in India. Our Block Stones are available at competitive prices. Siri Maharaja Granites (P) Ltd.
We are engaged in providing a wide range of Natural Stone Wall Tile to our clients.